With the combination of a Vanity number plus the radio, your ad will be unstoppable. If you want your phone to ring more, there’s no question that a good Vanity number can accomplish that. Studies have shown that using a memorable phone number in your marketing ups your call volume dramatically, driving on average over 30% more calls to your business than using a regular phone number. And more calls mean more booked appointments and sales – it’s as simple as that. A Vanity number is also a great way to build and strengthen your brand. It’s exclusive to your business and the service you offer. It cuts through advertising clutter with a simple, memorable message that you can hammer home repeatedly to get customers to remember you – and call you when they need your service. Radio has a very broad reach. In 2016, radio reached 94 percent of Americans between the ages of 25 and 54 years. That’s incredible market penetration – and exceeds the reach of both television and smartphones by a significant amount. Radio is also a very targeted and cost-effective advertising medium. There are a tremendous variety of individual stations that likewise appeal to a wide range of demographics, so there’s something for everyone. Pricing is much lower than television as well. Your local radio station runs ads advertising both national and local businesses. And, you have a choice when getting a Vanity number as to whether you want nationwide coverage or statewide coverage (which is less expensive). …try saying “888-I-HEAR-GREAT” out loud. Isn’t that a great number for radio ad for an audiology practice? It was widely predicted that vanity numbers would lose value with the rise of mobile phones and internet as a replacement for phone calls. But did you know that studies have shown that more listeners remember Vanity phone numbers than URLs when listening to a broadcast? And when you’re using a Vanity number in a radio ad, you can amp it up even more by using music or the natural rhythm found in the number you call. Here are examples of each. You’re driving to work when you hear a jingle with a phone number – and it sticks in your head. You find yourself humming it. Remember the Empire jingle? “Eight-hundred, Five-eight-eight, Two-three Hundred, Empire.” If you’ve ever heard it, I can almost guarantee that while you were reading that, the tune was running through your head. Is it a remarkable number in and of itself? Not really – but the accompanying jingle makes it really memorable. Even if you don’t set your Vanity number to music for your ad, you can make use of Vanity numbers that create memorable sound patterns or rhythms. For example, try saying “888-I-HEAR-GREAT” out loud. Isn’t that a great number for radio ad for an audiology practice? Say you’re driving along and an ad comes on with this number. You’d already been thinking you should get Dad in to get his hearing checked. This one is going to stick in your head and you might just find yourself calling them to see what they have to offer. 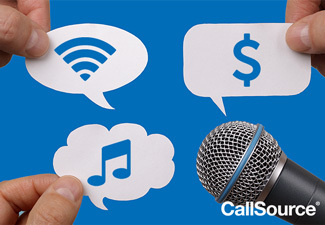 CallSource has a wide variety of great numbers available. If you want to learn more about how a Vanity number can help your business, or explore some options with us, search our available numbers or contact one of our CallSource Vanity Specialists. Just call 855-GOT-VANITY – we’ve got YOUR number! Author Bio: As CallSource’s Vanity Specialist, Kathleen Breedyk enjoys connecting clients with the perfect Vanity number. A transplant from Canada to California, she plays piano and flute, enjoys jamming with her friends, traveling, magic, and spending time with her family and her dog.